Osteoarthritis (OA) occurs when the wear-and-tear associated with life’s activities causes the protective cartilage in our joints to wear down, leaving the bones vulnerable to damage from grinding against each other. This grinding and friction causes pain, which often is accompanied by stiffness, inflammation, and tenderness. For the more than 25 million Americans who suffer from osteoarthritis, the pain that occurs from performing even routine activities can range from inconvenient to debilitating – especially in the knee. The good news is that, when diagnosed early, symptoms of osteoarthritis can be managed and treated. Weight-bearing activities, high-impact sports such as running and football, or being extremely active can all lead to osteoarthritis. At work, look for ways to lift smaller loads. Wear orthotics and supportive shoes, wear knee braces for stability, and/or use standing pads to help alleviate pressure on your knees during long periods of standing. In sports, alternate your high-impact workouts with low-impact activities. Be sure to wear all protective gear as recommended, and always listen to your body. Don’t ignore signs of pain that may be developing. The stronger the muscles are that surround your knee, the less impact and friction your knee will endure – thanks to the strong support. Physical therapy exercises can also help manage your knee osteoarthritis and may help prevent the need for knee replacement surgery. Cherries, oatmeal, and salmon are just three of the many foods that can help reduce the inflammation that can cause joint pain. Some people feel less joint pain if they avoid dairy; others feel better if they avoid citrus and acidic fruits. It’s a good idea to avoid eating something for a couple weeks and see how your body responds. Treat your joints like a well-oiled machine by drinking plenty of water. Hydration will keep your joints lubricated and will extend their functionality, which helps to protect the knee from further damage. Many people opt for over-the-counter anti-inflammatory medications, such as ibuprofen or naproxen, to reduce inflammation and pain. Your doctor may prescribe stronger pain relievers, but be careful of potential side effects that medications can have on your body. In lieu of pharmaceuticals, many are turning to certain natural anti-inflammatories, such as turmeric – which has been shown to reduce inflammation. Depending on your level of pain, your doctor may recommend a corticosteroid injection into the affected knee joint. Cortisone is proven to significantly reduce inflammation, which is why it is often used to treat osteoarthritis pain in a particular area of the body. Keep in mind that the benefits of cortisone shots are typically temporary, but they can be repeated in the future as well. When managing your knee osteoarthritis becomes too difficult and painful, most people turn to a surgical cure. Minimally invasive total knee replacement involves replacing the damaged joint with new, high-tech components to restore alignment and range of motion. Minimally invasive partial knee replacement only replaces the damaged potion of the knee, not the entire joint, for patients who have arthritis that only involves one area of the knee. Recently, MAKOplasty robotic-assisted joint replacement surgery is being used with great success. In this procedure, your surgeon will use a three-dimensional model of your joint, then use robotic guidance to replace the knee. This advanced technology can be used while performing partial knee replacements as well as full knee replacements, with a high degree of precision and accuracy. Board-certified and fellowship-trained orthopedic surgeon Dr. Brett J. Gilbert specializes in minimally invasive muscle-sparing hip and knee replacements, and a wide range of treatment options for hip and knee arthritis. If you are looking for world-class care right here in the Raleigh and the research triangle area (including Durham, Cary, Apex, and Wake Forest), look no further than Dr. Gilbert. To schedule an appointment, call us today at (919) 788-8797 or contact us online. Our team looks forward to helping you feel better, with less pain, so you can get back to the lifestyle you love. 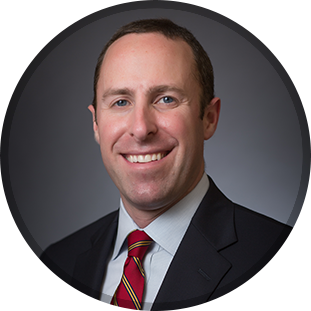 Dr. Brett Gilbert earned his medical degree at Duke University School of Medicine, and he stayed here in the Triangle to complete his orthopedic surgery residency with Duke Orthopaedics at Duke University Medical Center in Durham, NC. He then furthered his orthopedic education in Chicago with a fellowship in adult joint reconstruction at Rush University Medical Center. Dr. Gilbert is adept at treating musculoskeletal conditions of all kinds, and he specializes in the latest techniques of hip and knee arthritis treatments and joint replacement surgery. He continues to garner awards from his patients and peers for his outstanding work in orthopedic medicine, as well as for his personable style and excellent bedside manner.